TEKTRO RX 40 DUAL PIVOT ROAD BICYCLE QR SIDE PULL BRAKE SET 45 MM Tektro RX 40 black polished alloy dual pivot side pull brake set with quick release system and recessed nuts. The highest and lowest limits are 39-51 and 45 mm to the center of the brake pad slot, with NEW! cartridge type pads installed. located in vancouver, will ship. KUOTA KHARMA . fork and street is carbon fibre. super long steer tube 11" . 1 1/18" steer tube width. fork is in excellent condition. QR axle style. very light. located in Canada , will ship international. black, with red/white logo. road caliper brakes set up. 700c. like new! VITUS BASIC CUSTOM made in FRANCE !! 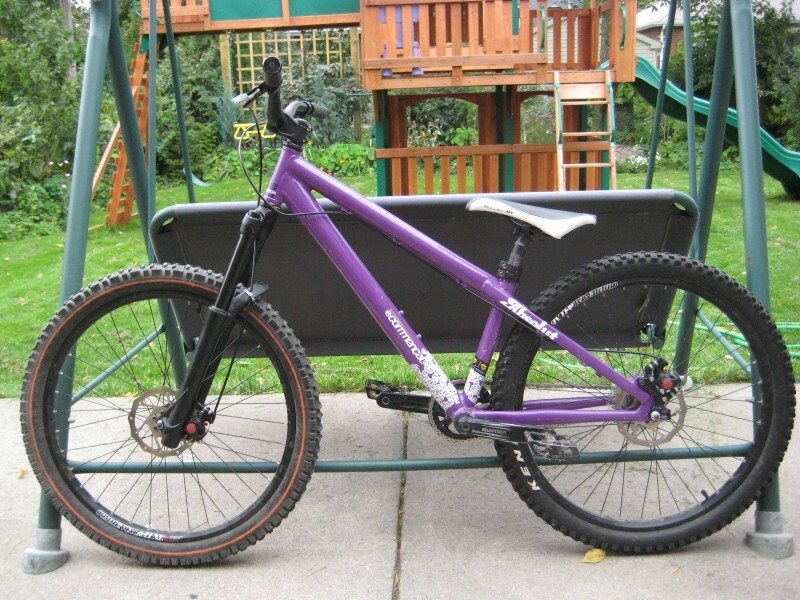 brand new frame never ridden. color: SILVER/RED size: 58cm frame: Columbus Aluthron 7005 aluminum (weight 1620gr) new!! 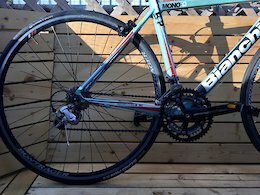 fork: Aero aluminum derailleur: Front: Shimano ULTEGRA, Rear: Shimano ULTEGRA STI shifters: Shimano SORA, 8-speed cranks: Vuelta crank 50/36T pedals: lightweight aluminum handlebar: ritchey new! stem: ritchey new ! headset: Ahead 1" NEW!! brakes: ULTEGRA new! saddle: BBB race lite saddle seatpost: Alloy micro-adjust, 27.2, rims: Shimano a570 wheelset tires: Continental gator skin 700x23c NEW! 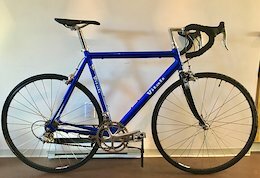 cassette: Shimano 11-30T, 8 speed Jagwire cables and housing NEW! Fresh bar tape. new!! Suitable for a tall riders 6’1 to 6’6f . Located downtown .For more info inquire. No low ballers . 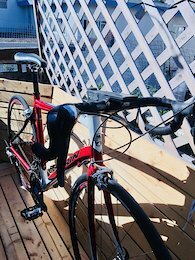 came off my 2013 OPUS FIDELIO road bike. 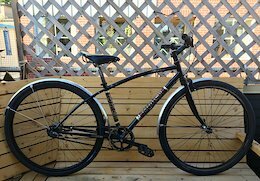 2013 ORA RC 1 CARBON , 9.5" steer tube. also had fender wholes. will ship. north america. Located Downtown Vancouver. DERAILLEUR Shimano sora 8/9/10 speed triple front road 31.8mm -$15 Shimano sora double 8/9/10 speed front road 31.8 - $15 Shimano deore triple 7/8/9 speed front mtb 31.8 / 34.9mm - $10 CASSETTE SRAM MTB 11-36T 10 speed - $20 RANDOM PARTS Road Brake Caliper rear w/ new pads - $15 2 x Hayes 160mm brake rotors $ 10 each or $15 both located downtown van, if listed its for sale. will discount items on multi purchase.